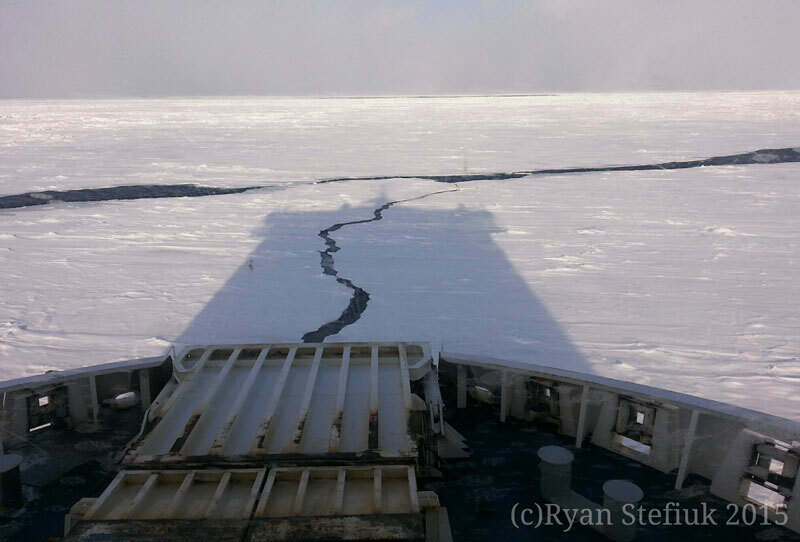 The MV (marine vessel) Leif Ericson crunches through sea ice in the Cabot Strait. The ship’s hull groans and 2-3 meter thick ice buckles underneath. Cracks in the ice expose the intimidating midnight blue waters of the North Atlantic. I see the long low hills of the Cape Breton Highlands off to my right, signaling our arrival in Nova Scotia and the end of my stay in Newfoundland. Leaving this place is always bittersweet. Winter trips in hideously cold weather make me long for home; to share a warm space on my couch or bed with my partner and dog. Newfoundland’s landscape and it’s people captivate me though and it saddens me to leave. I am deeply satisfied yet physically spent and tired of the cold. How does one measure the success of a climbing trip? Is it by how hard one climbed, or by whether one sent their project? Is it by the number of days climbed, areas visited, or routes completed? 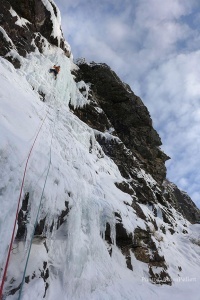 Can you measure success with first ascents? How about by the number of friends made or visited along the way? It’s hard for me to say exactly what made this trip to Newfoundland successful. Alden Pellett, Christopher Beauchamp and I got along great and laughed often, and that counts for a lot on any extended trip. Deep in the Newfoundland backcountry we climbed several really long ice lines – some as long as 1800′. Several of the lines we climbed were probably first ascents and check in at WI5+ or WI6. 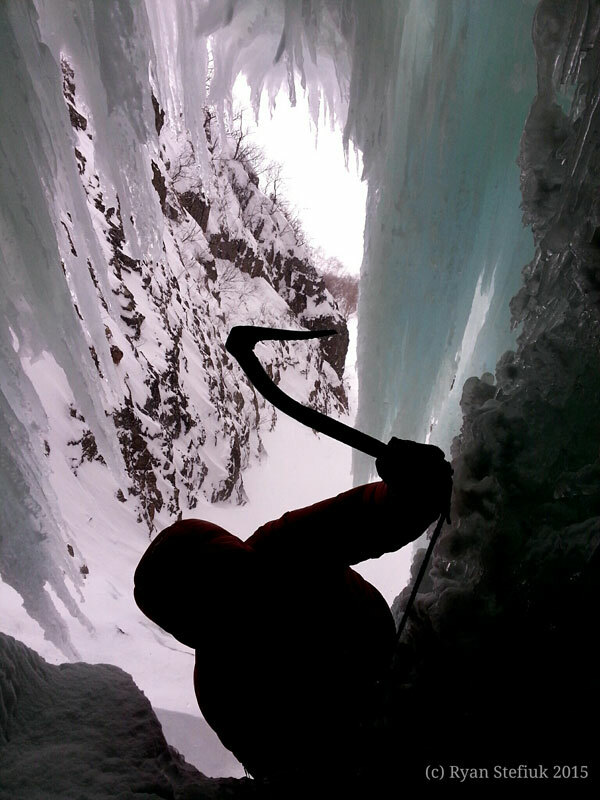 We climbed classic ice lines established by the Joe’s – Joe Terravecchia and Joe Josephson – on a wall that’s as classic as any 3 pitch wall in North America. We made new friends and reconnected with old ones. Newfoundland is famous for having gracious and hospitable people, and my expectations are continuously surpassed. 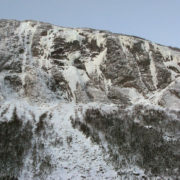 Over the years many people have climbed ice in western Newfoundland (pronounced newfin-LAND, with the accent on “land”). Paul Fenton, an outfitter in Nain, Labrador, climbed in many of the fjords, and Jim Bridwell spent some time there in the 90’s with him. 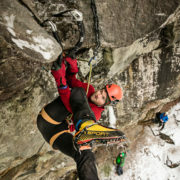 In the late 90’s Joe Terravecchia and Casey Shaw began climbing there. They have explored the area heavily over the last 20 years, and have brought many other northeasterners along during that time. It was one of Joe’s slideshows at the Adirondack Mountainfest that finally encouraged Alden Pellett and me to visit for the first time back in 2008. 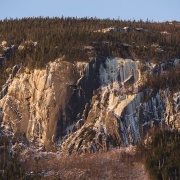 Initially, Joe and Casey were deliberately vague about where and what they’d climbed. This peeved me. I didn’t understand why anyone would be so secretive about the locations of climbs. 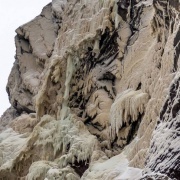 Did they care so much about first ascents that they were unwilling to share information? Maybe, but I don’t think so. After five trips to the island, and visits to many of the fjords, I realize the brilliance of their decision to keep quiet. 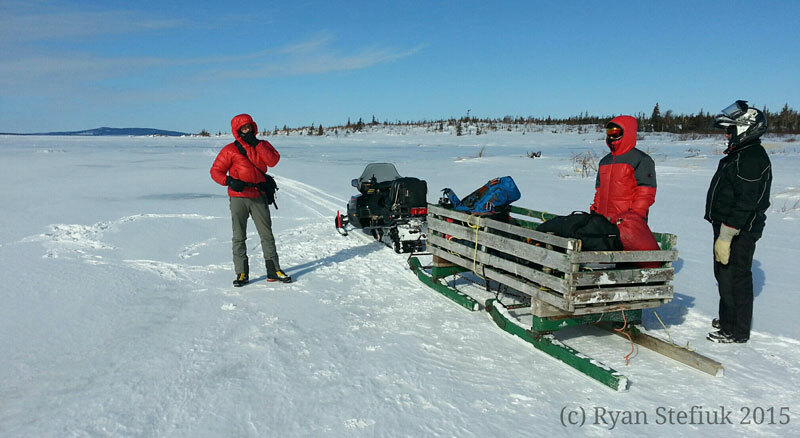 It takes two days to get to Newfoundland during good weather. The wind and blowing snow is hideous. The climbs are all in the backcountry. 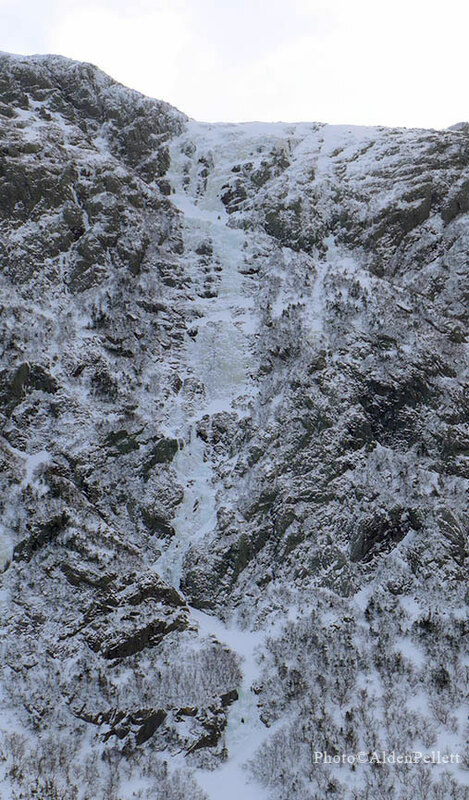 There are no other climbers, no guidebooks, no bolts, and no chance of a timely rescue if something goes wrong. 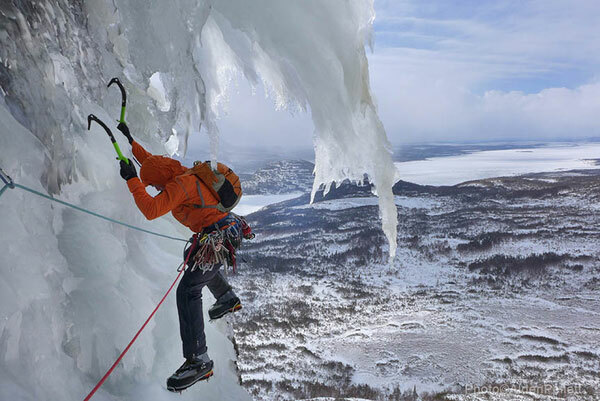 Ice climbing in Newfoundland is about adventure. I know I’ll be back again. Maybe not next winter because I’ll be in nursing school. After that for sure though. 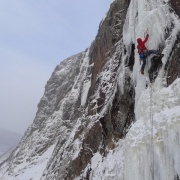 Like those that have come before me, my vagueness about climbing in Newfoundland is deliberate. I want to preserve the experiences I’ve had and cherish so that others can be as fortunate as I have been. Many thanks to Terry Hynes, Bevin Goosney, Brad and Lamont Thornhill, Clayton, Rick Endicott, and Walt Nichol for showing us true Newfoundland hospitality. Thank you Casey Shaw and Joe Terravecchia for showing me the Newfoundland way. Thank you Michael and Alexa for letting us crash in North Conway before and after our trip and to Rob and Amy for letting us store a car in North Conway. All of these individuals helped make this year’s trip a great success. Lard Tunderin' Jaysus, Der's A Lotta Ice Up Der B'ys! “Pi Day” The KRONOS is HERE!